Home/Diagnosing Bipolar Disorder/Am I bipolar? 1. You have screened positive on a bipolar test. swings into mania and depression and thought “this is me”. 3. You may have been labeled “bipolar” by someone else. 5. You may have been diagnosed as such by a psychiatrist, your family doctor, or another medical expert. medication and other treatment is not helping. also “Just How Bipolar Am I?”. An excellent clue that you have the wrong diagnosis is if your medication is not helping you. 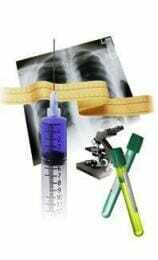 meet a clinical threshold or require medication for treatment. Has manic episodes characterized by euphoria, grandiosity, or expansiveness. Developed their bipolar symptoms in late teens at around age 19. In between mood episodes experiences full recovery and returns to normal self. Takes mood stabilizing medication and responded well with meds leading to a remission in bipolar symptoms after approximately 4 weeks. Has a mom who also has bipolar disorder. Mild hypomania but not full blown mania. Developed their symptoms in middle age at around age 47. Often depressed and also suffers from anxiety. Also often agitated and irritable. Has tried a few different antidepressants but so far no meds have helped. Has no relatives diagnosed with bipolar disorder but Dad is an alcoholic. Does Person B also have bipolar disorder? It is certainly possible but is relatively unlikely. Why do I say this? These hypothetical profiles are based on the Bipolarity Index . . .
1.The characteristics of your mood episodes, such as have you experienced full mania or (milder) hypomania? 3. Course of illness: For example, do you follow the “typical”pattern of distinct episodes of mania and depression, as well as periods where you are well? as opposed to having the rarer, treatment resistant kind. 5. Family history. This is an illness with a strong inherited component. If a parent or sibling has bipolar disorder, it is more likely you do as well. By the same token, absolutely no family history anywhere makes the diagnosis more unlikely. You can score the Bipolarity Index yourself. A score of 60 or over usually correlates with Bipolar I. The lower your score, the milder your degree of “bipolarity”. If you score under 10, the answer to AM I BIPOLAR is probably a NO! 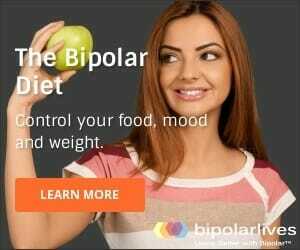 Anyone asking “am I bipolar” can easily do a bipolar disorder self test to check their bipolar symptoms. There is no physical test, such as a blood test for bipolar. Also, there is no genetic testing for bipolar disorder. In other words, you cannot take a definitive, objective bipolar test, but must rely on experience and educated judgement instead. Please do not think I am dismissing bipolar tests, especially the well established tests compiled by reputable experts and confirmed through rigorous empirical scientific method. I actually have several of these on this Bipolar Lives website, and encourage anyone who has ever asked “Am I bipolar?”, or who suspects a mood disorder in someone close to them, to take at least one, and probably two or three. However, at the end of the day these are still just checklists based on self-reporting. They are guidelines that merely SCREEN for the POSSIBILITY, not definitive diagnostic tools, and CANNOT, in themselves, diagnose bipolar disorder in you or anyone else. Anyone who scores positive on such a test needs to consult with an expert immediately. Preferably this would be a board certified expert psychiatrist with extensive experience in bipolar and other mood disorders. One reason for this is to get treatment, such as a prescription for a mood stabilizing medication. However, getting medication is a secondary reason. The main reason is to CONFIRM THE DIAGNOSIS! A skilled clinician will do much more than administer a paper and pencil checklist. As well as tests just like the bipolar tests we have just looked at, there needs to be a conversation. This will involve various techniques and elements, depending on the doctor. All of them will probably ask about family history and your family members as bipolar disorder has a strong genetic component. EVERY expert should ask you about POSSIBLE, as well as diagnosed, bipolar family members. Many professionals may ask you to bring along a trusted third person who knows you very well and over a long period of time. This helps to confirm certain bipolar symptoms, to fill in blanks, help you remember important info on bipolar from your Dr, and to help you by providing further perspective. Another important technique in diagnosing bipolar is the Life Chart. Having the trusted third person present can be most useful in creating the Life Chart. This chart is a diagram that starts at birth and records significant life events alongside a mood scale. In this way it is possible to get an overall picture of both mood episodes and other bipolar symptoms, and possible triggers for episodes of depression and mania. Also, certain physical tests are required. Lab work and other tests will be needed to rule out diseases such as thyroid conditions (looks like bipolar and often co-occurs with bipolar disorder), diabetes, Lyme disease, and quite a few others. My own bipolar diagnosis happened through pure chance. My psychiatrist and I both believed I had major depression and also acute anxiety. In passing I mentioned some shopping I had done on the weekend. When my shrink discovered that I had spend over $5,000 (I was a full time grad student at the time and should have been living frugally) on exquisite European furniture for my cheap one bedroom student apartment, there was a diagnostic breakthrough. This kind of irrational spending spree is a classic symptom of mania. It didn’t take long to uncover many other manic episodes and my diagnosis was finally accurate and helpful. I have never looked back! There are many dimensions to “being bipolar” and pop culture does not convey enough accurate info on bipolar for us to understand genuine bipolar symptoms. First and foremost there are bipolar feelings and moods – and of course mood swings. There are also what we could call “bipolar thoughts”. And as those of us who have lived with bipolar for a while know, there is that pesky (sometimes ruinous) bipolar behavior. A reliable diagnosis requires a very careful balance of examining all three of feelings, thoughts, and bipolar behavior. Although there is an inner experience of mood that is possibly the ultimate arbiter of “Am I Bipolar?”, focusing to some extent on potential bipolar behavior is inevitable because this is what is measurable and observable to other people – and what will create serious and destructive real world consequences if not addressed. The main danger of misdiagnosis arises because bipolar behavior can closely resemble other mental health conditions. Researchers at Rhode Island discovered that many patients diagnosed as bipolar actually had borderline personality disorder instead. In fact, it appears to be becoming one of the most common misdiagnosis traps. – that are the hallmark of this illness. Or take our online test, and if you screen positive see a board certified expert in mood disorders. Finally, make sure you get educated. This excellent summary from the University of Maryland will gives you an easy to understand but very accurate and insightful bipolar disorder overview. i have bi- polar problems since 16 with acute manic phases starting at 25. I accepted problem only at 22 and took lithium. This helped to not go manic but dampened my life somewhat. Last week read about OCD which seems a close match to my problems. Especially ‘hoarding’ i call it hamstering, where I collect all sorts of thing with fairly good reason at the time, but not later, In pockets boxes shelves etc. Sometimes i find things months later. this repeats itself in manic phases and often a very fast rate of collection. Is it possible to become bi polar at the age of 63?